When it comes to trust and finding the right affiliate product then most probably you would be referred to Clickbank Marketplace. This is because they are one of the most trustworthy affiliate product provider. Also ClickBank approves everyone (unless you are from Nigeria or some other country outside their approval zones). Their services are incredible. They promises to give on-time payment to their users. 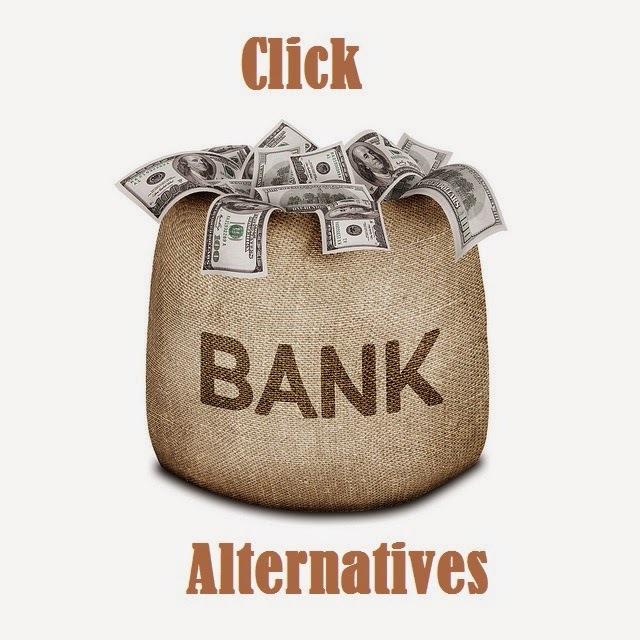 Today in this post I am going to talk about alternatives to clickbank. Because there is a whole world outside the Clickbank. You will find a huge list of affiliate marketing. You can find thousands of different products on clickbank and choose them to explore your business. Reason behind writing the best clickbank alternatives is that affiliate marketing is seasonal, you won't be able to know some great deals because there are made available for only some time. If you are having 5-10 other different sources to find affiliate products then you can have right product for your business. Paydotcom is one of the best affiliate marketing program and no doubt clickbank alternative also. It is considered as second largest affiliate program after clickbank. The thing that I like about this network is that you can even create your products on it and sell then easily. One can easily allow other affiliates to sell their product to earn commissions. Paydotcom is similar to clickbank because they both provide almost same services. The major difference is that paydotcom doesn't charge from you to list your first digital information product. You will be charged a % of each sale you will made. Read Also :- How To Disable Blue Seen Tick Marks In Whatsapp ? Paydotcom pays monthly either by check or Paypal. Overall it's a trustworthy marketing network. Shareasale was founded in 2000 and since then it has got high reputation and trust in the market. It offers commissions on both Cost Per Sale (CPS) and Cost Per Action (CPA) transactions. Shareasale has thousands of product listed on it's website for the users. You can find some awesome services in Shareasale such as real-time tracking, on-time payment, merchant quality control and much more. It is certainly one of the best alternative to clickbank. If you are doing affiliate marketing and looking for a new affiliate network to earn some additional money then RapBank can be very useful for you. If you are new to affiliate marketing then this is a site that will make getting started an easy process. On sign up you can have access to 2000+ products available on rapbank. All the products listed on are from verified merchants that pay instant commissions via Paypal. Other than this you can have access to real-time detailed reports that will tell about the top selling products and new coming products also. Commission Junction is generally referred as God of Affiliate marketing.This is because you can create and promote any type of product on it and commission rates are very high as compared to other networks. The thing which makes it best is that it not only lists digital products but also physical product. Almost each and every niche market is covered by one or more products listed at Commission Junction, which makes it one of the most popular affiliate membership sites on the Internet. LinkShare was founded in 1996. The specialty of this affiliate network is that it works with well known merchants and has focus strategy since the foundation. Some of the services offered by linkshare are first-class merchants, exceptional tracking capabilities, on-time payment and deep linking. Overall it's a good choice to join this network. MarketHealth is an affiliate network which specializes in health market. One can promote from products for thyroid support, colon health, feminine products, teeth whitening, skin care, and more. It was founded in 1998 and since then it has got a high reputation in the health marketing.